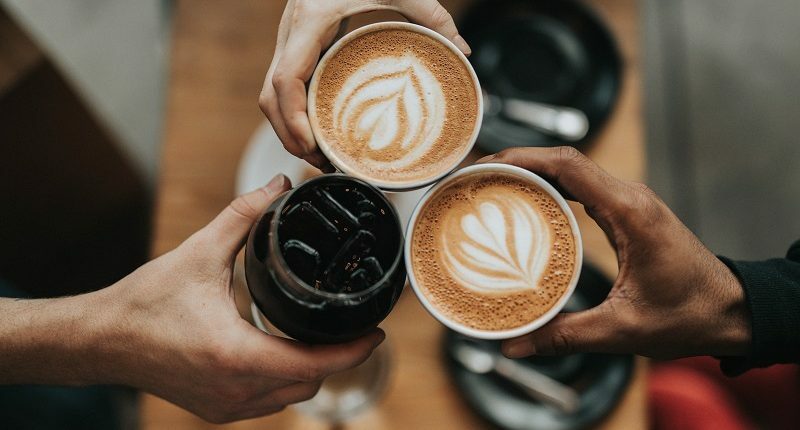 One of the most common meeting points for students, friends and even coworkers is a coffee shop. If you can’t order the kind of coffee you want correctly, it can be embarrassing. So, why be embarrassed when it is an easy thing to learn? We’ve put together some phrases to help you order a cup of coffee in English like a local. If you love coffee, you probably look forward to ordering, so make sure you get it right. The next thing you want to say is the size of coffee you would like. Traditionally there are three standard sizes: small, medium and large. Some coffee shops have their own sizing such as Starbucks, where small, medium and large are called tall, grande and venti. However you will be understood if you say small, medium and large, so it’s best to learn these and stick to them. Espresso – strong black coffee without milk. If you want more, you can order a double espresso. Be careful when ordering an espresso; most people, even native speakers, pronounce the word wrongly saying ex- instead of es-. Then you should state if you want any sugar in your coffee and how much. Next comes the type of milk you want. Most modern coffee shops and chains will have a few milk options. The standard milk added to the coffee is whole milk, but you can ask if they have low-fat. If you’re lucky, they might even have organic milk. Another type of milk they might have is soy – a plant-based milk produced by soaking soy beans. The last option is especially good for lactose intolerant people, who can’t easily digest animal milk, and for vegans, who don’t consume animal products. Then you can choose a flavor or topping. You might want to add something to your coffee to make it a little bit special, such as chocolate, caramel, hazelnut, or vanilla syrups. Most coffee shops also have the option to add whipped cream (chantilly) or even ice cream. – The cashier might ask for your name so they can call you when your coffee is ready. If not, they might call your order, so remember to listen out for that. – If you just order “coffee”, it will be strong black coffee, so remember the terms above to be more specific if you want something different. With these phrases you’ll be more than ready to order the perfect coffee in English like a local.